Thinking we’ll bump max up to Trophy bike and I’ll just run money bike there. My local 1/4 mile has a new class they ran this year that had some bikes so I’m going to try that next year. Really missing the 1320’ racing. Out second rd with a yuuuuge red. Max didn’t have anyone to race today so he took the trophy. Sealed up the season points victories in jr bike and trophy bike, Max cut a 10.2x, a new pb on the blast. We’re done for the year here. Congrats! You guys are gonna need a big trophy room! Sorry in advance for the long thread but had such an great weekend wanted to share. 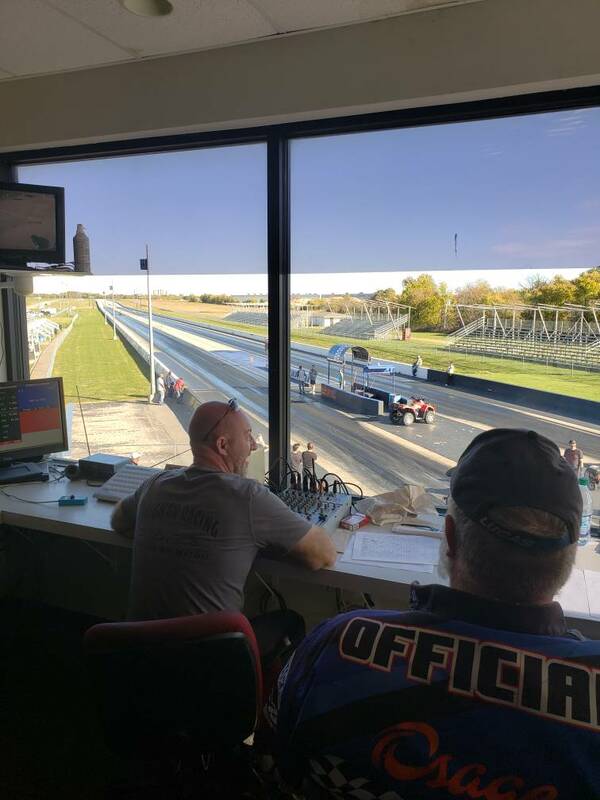 Went to Tulsa for the 2 day PMRA World finals. They allowed us to add a vtwin class to their already scheduled races this season. After such a good showing these past few races they announced today they are adding our class to the 2019 schedule and getting a points system! Yes! Things are really starting to come together for the class we are building for our region. And it's a fast class! Anyways, onto to the crazy weekend! Get set up and stage for first TNT, get to the staging light and bikes float valve sticks and the carb starts pouring gas, have to pull off and go back to the pits and free the float needle up. By this time the lanes were very full for TNT. Got one more pass in, really good 1/8 run with a 6.3 and same avg 110 mph, shortly after bike shut down completely and would not restart. Lost all spark. So get back to the pits and get the bike set up to start diag. I need to stop here and give some credit where it's due, Dan Dunn of all people was crucial to my success this weekend. I had electrical night mares going on, to many details but after nearly 4 or 5 hours of diag and testing and chasing intermittent ignition and voltage issues and after swapping the ignition module, coil, plug wires and running a whole new ignition harness we solved the ignition problem lol. Then we stumble upon another issue I was having with my positive hook up to the fuse block. Finally get everything fixed and back together as they are calling first round eliminations for our class. I had already missed all qualifying rounds and TNT but they let me go ahead and race the fastest guy on the Buy run. Lost unfortunately but was a good run. But huge thanks to Dan Dunns assistance throughout helping diag and fix the issues and my buddy chris for having a spare module, wire and the tools needed for diag and repair on hand. 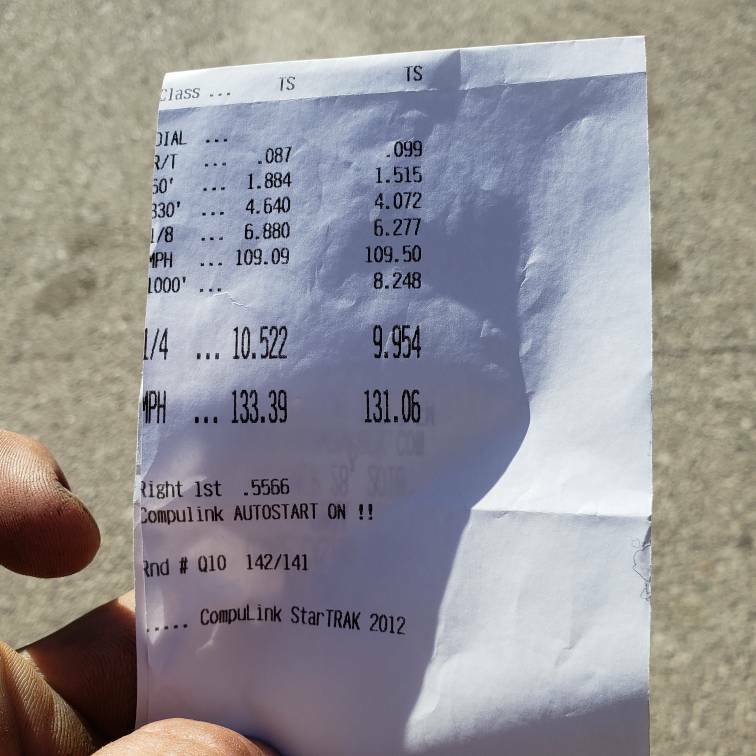 Went on today to get runner up in Vtwin, lost by a .05 difference to a 100ci S&S 70" bar bike on a street tire to a 9.8 vs a 10.01 but I cut a .049 light and he just got me in the last couple feet, super close race. Was such a great day and got all new PB across the board including finally hitting a 9.95 and a 1.4 60ft. Not bad for a 62" WB! Looking forward to our 2019 PMRA and the potential our class is looking to have already.